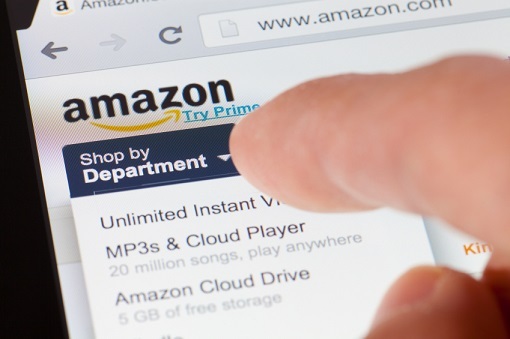 After being spotted recruiting for London-based insurance professionals late last year, fresh reports have emerged that suggest Amazon is planning to enter the insurance industry. The e-commerce giant is in talks to create a credit card geared toward small business customers that could eventually see it offer business insurance, according to a Bloomberg report. Amazon has been in discussion with banks including JPMorgan Chase & Co on a co-branded credit card for small business owners who shop on its website, the report claimed. Further down the line, the credit card could be boosted by additional offerings, including business insurance, sold through a specially-designed portal, according to people who asked not to be named by Bloomberg. The news may prove an extra worry for the insurance industry, which is already concerned over its handling of technology and the threat of external disruptors. Earlier this month, new data revealed that up to 45% of Amazon customers would be willing to consider the online retailer for auto insurance, while 38% would say “yes” to an Amazon-crafted life insurance plan. In an interview conducted before the latest Amazon news came to light, law firm Clyde & Co told Insurance Business that the tech firm’s assets could prove very valuable in the insurance industry. “If you have, as Amazon clearly does, a customer base…in the high millions, and the data behind all of that as to what it is that you and I are buying, and where we are buying it, etc, you have two very powerful pieces of information,” Andrew Holderness, Clyde & Co’s global head of corporate insurance, said. However, Holderness stressed that the highly regulated nature of insurance means it would be a significant shift from Amazon’s current core business. “Insurance is different from selling bits of kit in a huge hangar – it is a highly regulated industry and we need to tick the relevant boxes wherever we’re looking to sell insurance,” he said. Revealed: How big would take up in Amazon insurance be? Will GDPR make insurance more vulnerable to Amazon?